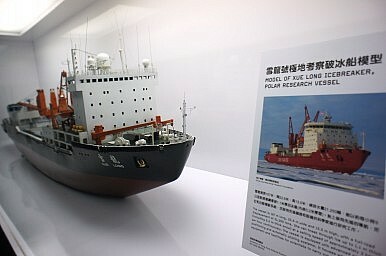 China’s lone research icebreaker, the MV Xue Long, may be stuck in thick Antarctic ice after a heroic rescue effort. The Xue Long successfully rescued all 52 passengers who were stranded for over a week aboard the Akademic Shokalskiy ship in Antarctica. It dispatched a helicopter to lift the passengers to the Australian Aurora Australis ice-breaker. The passengers aboard the Shokalskiy had been trapped in ice floes since December 24. The irony of the situation is that the Xue Long was originally summoned to break a clear route through the pack ice to the smaller Russian vessel. That was not possible and the large icebreaker is now trapped itself. As a precautionary measure, the Australian icebreaker has been put on standby to assist the Xue Long, if needs be. All the vessels involved in this drama are within a sea area of East Antarctica that is claimed by Australia. Hence, the coordinating role lies with the Australian Maritime Safety Authority. The Xue Long is under command of Captain Wang Jianzhong, a veteran sailor on the ship who has served since its acquisition by China in 1993. The Russian Akademic Shokalskiy was part of the Australasian Antarctic Expedition (AAE). Since the successful rescue mission by the Xue Long, members of the AAE have lauded Captain Wang and paid tribute to him and his crew, according to the BBC. The Chinese crew of the Xue Long were hailed as heroes by some for their diligent rescue effort and Captain Wang himself was praised as an “incredible ambassador for his country” by one marine biologist at the University of New South Wales. The BBC’s correspondent aboard the Aurora Australis suggests that an extra-high tide on Saturday might exert enough vertical force on the ice floes to weaken the ice and allow the Xue Long to navigate out of the ice. If the Xue Long remains stranded, another rescue operation may be necessary. Snow Dragon is free from the ice floes that had it trapped after an international rescue mission.